As you may know, I host the Birmingham Property Investors Network (pin) meeting which takes place on the 3rd Thursday of every month at the Crowne Plaza Birmingham NEC Hotel, just off the M42 J6. Meet with the BMVwarehouse team at our pre-meeting Deal Clinic Desk. This month our guest speakers are Business Marketing Specialist, Andy Philips plus Peter Francis & Nick Watchorn from The Landlords National Property Group (LNPG). Andy Philips’ talk will explain how you can use “Low Cost – High Impact” Internet and Social Network techniques to Market YOUR Business. Discover how every business, no matter what size, can take massive advantage of the Internet and Social Media to get in front of targeted audiences, create automated “Lead Generation Systems” and build a huge on-line presence for a fraction of the cost of traditional marketing methods. Peter Francis & Nick Watchorn’s talk is all about saving time and money and increasing the value of your property. 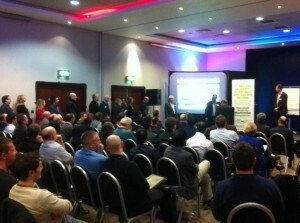 They will explain their simple 3-step process for saving £1,000’s on refub projects. Use voucher code “bmv0712” to get a 100% discount on the entrance fee and come along as my guest (note this is only available if you’ve not been to a pin meeting before). Prize Draw: Book your place more than 24 hours in advance and you will have the chance of winning a place on Simon Zutshi’s Property Investing Quick Start seminar worth £497! Or one month’s coaching with a Mastermind Coach! This entry was posted in About us, Networking. Bookmark the permalink.